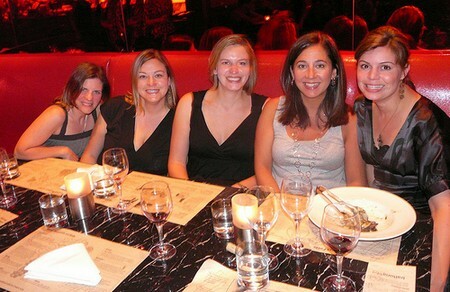 Dinner is a great way to keep in contact with you friends and colleagues even with busy schedules. If everyone can decide to meet on a schedule, for example once months, to have dinner, catch up and have a good time this will keep the relationships open. Everyone loves food and a good time. Nothing is more perfect. Being an active member of a monthly dinner club is a easy way to see friends and catch up with everyone. It is also a great excuse to try different types of cuisine and try new restaurants. It is easy to set the options of your new monthly dinner club to the tastes of the social group. Here is how you can organize a dinner club for you and your friends, family or coworkers. Make your list of who you would like to join the monthly dinner club with you. You can make it as big or as small as you would like. You can start off with six couples and invite the group to a casual informal meeting to gauge their interests and come up with the dinner club rules. Make a plan on when the dinner group will meet. Set the say to meet every month. Also, stipulate the maximum amount of money per entree that each person can reasonable afford to pay. You can set rules like no children, bustling infant rules if you like. Plan for two months for every couple to host in a single year? Make one couple the chair couple. Have the chair couple be in charge of making sure every host couple understands when their time comes up. The chair couple should also make a schedule that rotates the dinner for the month evenly and fairly. Appoint a host couple to decide on the restaurant for the month as well. Have the host couple send out both invitations and email reminders two weeks before the dinner date is supposed to take place. The host couple holds the responsibility of making reservations at the restaurant they choose. Make sure all the couples understand that they need to have their own babysitters. Couples should RSVP a week or more in advance and make sure the hosts are aware of last minutes changes as they arise. Take a survey of every member’s likes and dislikes. Also note any food allergies. All the members should be willing to try new things and new restaurants. Create a list of contact information, the monthly restaurant schedule and rules for every couple. Meet every six months to talk about any issues and to reevaluate couple desires and participation.